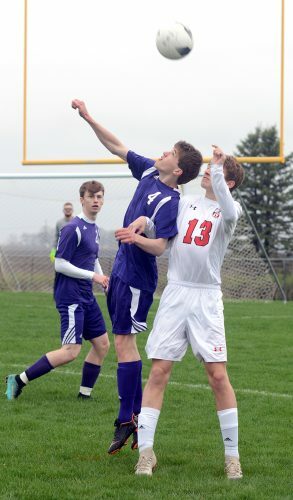 WEBSTER CITY — Berths in the traditional state tournament will be up for grabs all across the state on Saturday and Webster City has its eyes on seven of those spots. The Lynx will send their wrestlers to ADM High School in Adel for a 2A district tournament that will get underway at noon. The top two finishers at each of the 14 weight classes will advance to next week’s state tournament in Des Moines. Top-ranked 120-pound senior Drake Doolittle will look to become one of only three WCHS grapplers to ever make four appearances at state. Fifth-ranked senior Caleb Olson (195) will go in search of trip No. 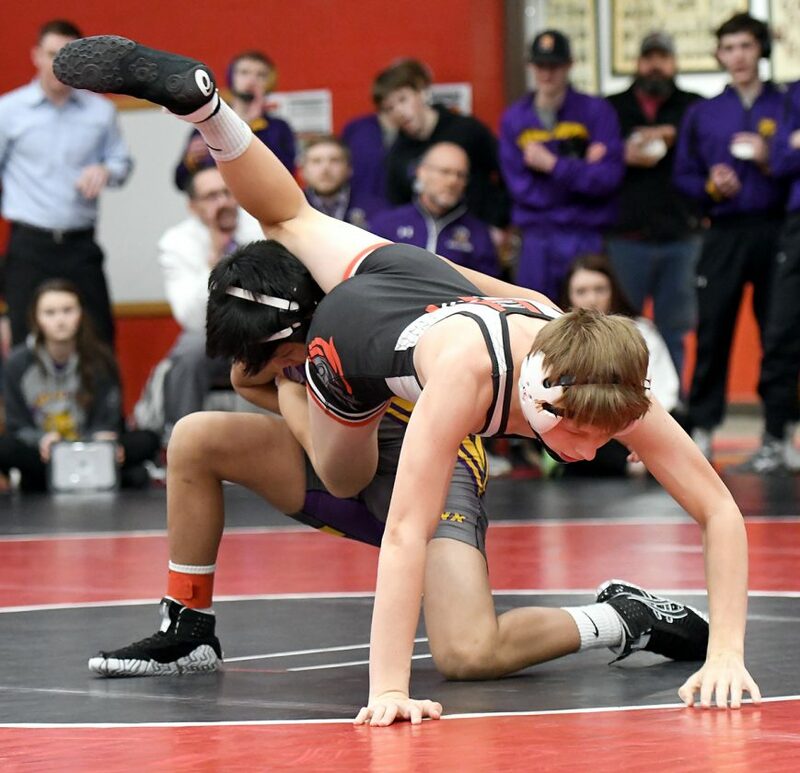 3, while seventh-ranked freshman Camron Phetxoumphone (106), sophomore Chase Rattenborg (126), seniors Sean Godfredsen (160) and Michael Gilbert (182), and sophomore Gage Rossing (220) will all attempt to make their state debuts. Already a three-time state place winner, Doolittle (37-1) will be the overwhelming favorite in a bracket in which he already owns wins this season over the other competitors. Doolittle will open up against Ballard’s Reece Broer, who he pinned in December. 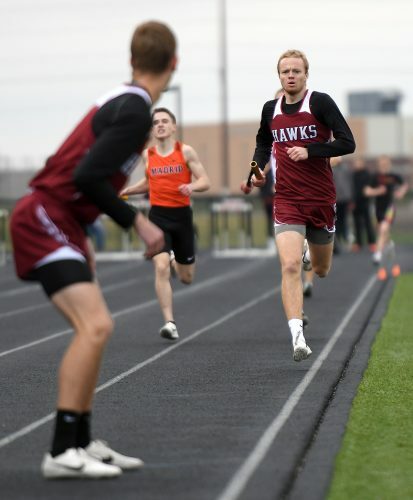 Doolittle, a state silver medalist in 2017, could tie up with 10th-ranked Colby Wiederholt of Van Meter-Earlham, who he handled 13-3 at the Perry Invite last month, at some point as well. 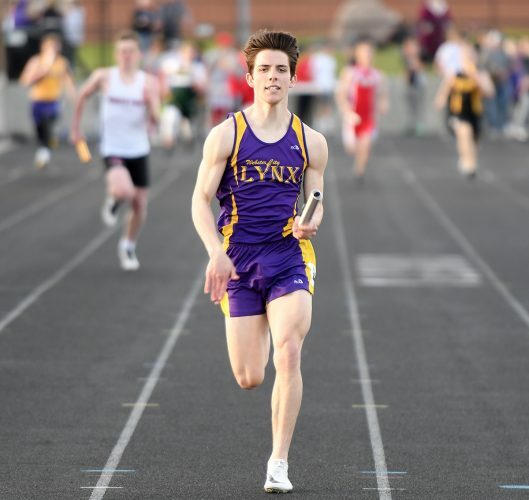 Phetxoumphone (33-4) will also face a familiar foe right out of the gate in Saydel’s Clayton Myers. Phetxoumphone decked him in the first period late last month in Story City. 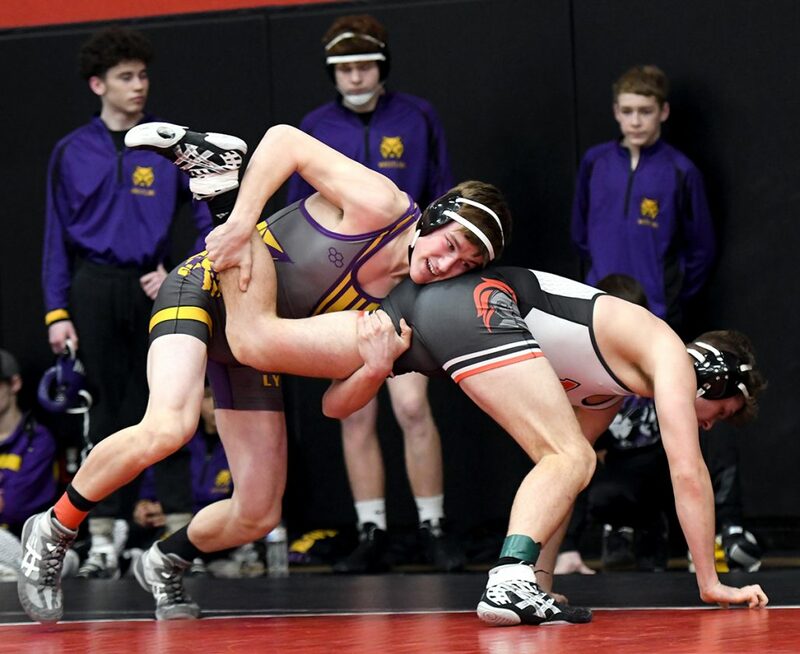 Olson (33-4), who enters districts with 97 career wins, is in the same bracket as Ballard’s Joseph Hofbauer, who has just two losses in 27 bouts this season. They met a season ago; Olson won by fall. The rest of the Lynx grapplers will face uphill battles in their semifinal matches. Rattenborg (30-16) will tangle with top-ranked and 2017 state champion Andrew Flora of ADM. Godfredsen drew top-ranked and former state finalist Skyler Noftsger of Ballard, and Rossing has the No. 1 guy in the state as well in two-time state finalist Cody Fisher of Woodward-Granger. Gilbert will meet third-ranked Nolan Harsh of ADM.
No. 7 Camron Phetxoumphone, Webster City (34-4) vs. Clayton Myers, Saydel (24-18). Cole Nelson, Perry (33-12) vs. Riley Harger, Van Meter-Earlham (29-12). No. 1 Drake Doolittle, Webster City (37-1) vs. Reese Broer, Ballard (24-17). No. 10 Colby Wiederholt, Van Meter-Earlham (37-5) vs. Jacob Vawter, West Marshall (25-14). Chase Rattenborg, Webster City (30-16) vs. No. 1 Andrew Flora, ADM (33-0). 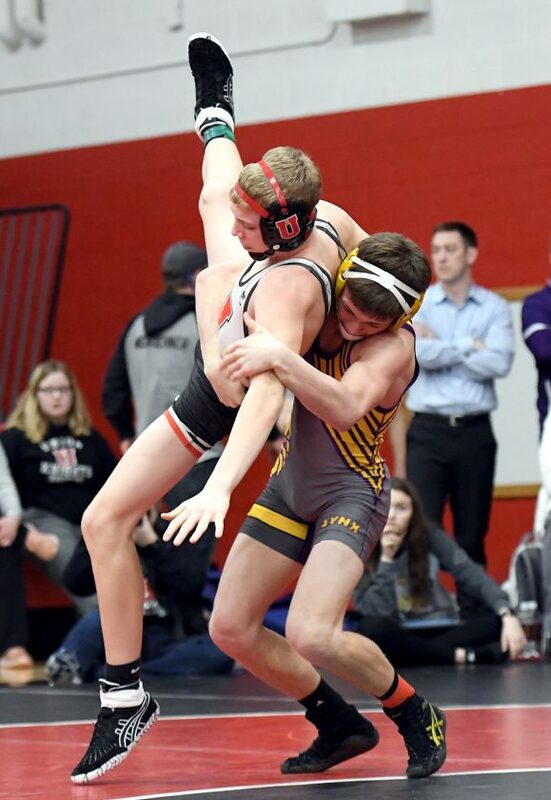 Cael Ihle, Gilbert (33-3) vs. Korbin Barek, Van Meter-Earlham (11-8). Sean Godfredsen, Webster City (21-20) vs. No. 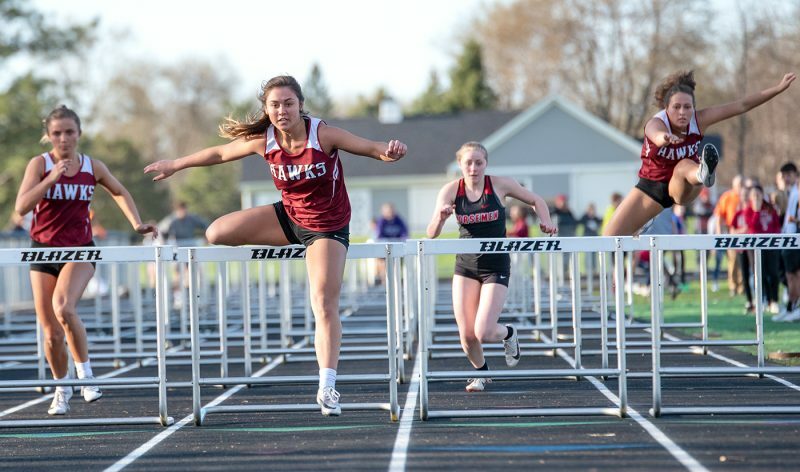 1 Skyler Noftsger, Ballard (33-1). No. 8 Caleb Swalla, Van Meter-Earlham (33-4) vs. Erick Funez, Perry (14-30). Michael Gilbert, Webster City (22-19) vs. No. 3 Nolan Harsh, ADM (34-1). Cole Snyder, Perry (29-16) vs. Mason Askelsen, Ballard (22-16). No. 5 Caleb Olson, Webster City (33-4) vs. Justice Paulson, ADM (20-17). Jacob Steenhoek, Gilbert (36-11) vs. Joseph Hofbauer, Ballard (25-2). Gage Rossing, Webster City (7-8) vs. No. 1 Cody Fisher, Woodward-Granger (38-1). No. 8 Kaden Sutton, ADM (31-5) vs. Cayden Meskan, Gilbert (34-7).